Left: Yuri Ebihara (Japan's famous top model) Right: Melodee Morita (Japanese American ballet dancer and YouTube Artist) at the SHISEIDO Benefique Launch Party in NYC. 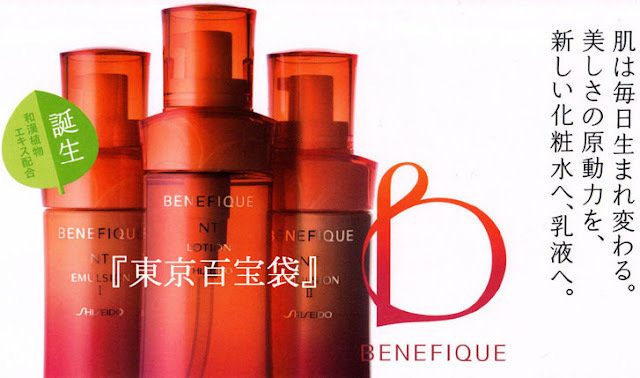 Earlier this week I watched a video by YouTube artist Melodee on the new Shiseido Benefique skincare line launch party in NYC. (Click here to watch Melodee's vlog video on youtube) I was truly amazed and shocked! Amazed by how stunningly beautiful Yuri Eibhara looks in person and shocked because Melodee got to meet one of Japan's top famous model! The new Shiseido Benefique skincare line focuses on improving skin to make it look more radiant and smooth and as well as making skin to look more youthful! 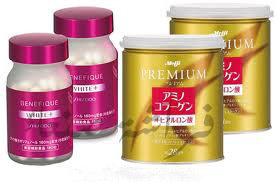 They sell a variety range of products from cleansers to toners, special treatment creams and even whitening products! You can learn more about their products here on their English American website and more on their official Japanese website. I don't think I have much of a need for this skincare line as of yet, but I'd definitely need it in a few years down the road! XD So for now I'm writing this post as sort of a "future reference" for me to look back on when I need some anti-aging products after I turn 30! LOL.